Birthplace of the Industrial Revolution, Manchester in northern England, is recognised as the world’s first industrialised city, and at the turn of the 18th century outstripped even London as the largest centre for manufacturing, not just in the UK, but throughout the world. Today, a post-industrialised Manchester is notable for its culture, music, scientific and engineering output, media links, educational institutions and sporting connections. And, along with a reinvigorated city centre, a number of major development projects have evolved across the city in recent years, with Media City at the city’s former docklands now the home of BBC Television; whilst the legacy of the 2002 Commonwealth Games continues to attract new investment with the development of the Etihad Campus at Sport City in East Manchester. Another ‘city’ within the city is now also preparing for take-off, with the development of the UK’s first ‘airport city’ at Manchester Airport. 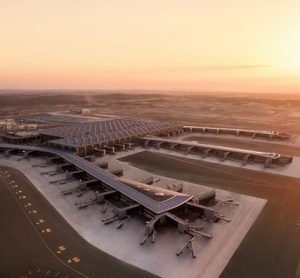 Globalisation, the demand for air travel and pressure to diversify means 21st century airports are evolving into destinations people travel to, rather than just pass through. They complement city centres, offering not only a gateway for travel but also an economic hub where people live, work and play. These developments have become known globally as ‘airport cities’. Birthplace of the Industrial Revolution, Manchester in northern England, is recognised as the world’s first industrialised city, and at the turn of the 18th century outstripped even London as the largest centre for manufacturing, not just in the UK, but throughout the world.Today, a post-industrialised Manchester is notable for its culture, music, scientific and engineering output, media links, educational institutions and sporting connections. And, along with a reinvigorated city centre, a number of major development projects have evolved across the city in recent years, with Media City at the city’s former docklands now the home of BBC Television; whilst the legacy of the 2002 Commonwealth Games continues to attract new investment with the development of the Etihad Campus at Sport City in East Manchester. Another ‘city’ within the city is now also preparing for take-off, with the development of the UK’s first ‘airport city’ at Manchester Airport.Globalisation, the demand for air travel and pressure to diversify means 21st century airports are evolving into destinations people travel to, rather than just pass through. They complement city centres, offering not only a gateway for travel but also an economic hub where people live, work and play. These developments have become known globally as ‘airport cities’. At a cost of £650 million, Airport City Manchester is a highly ambitious project that aims to transform Manchester Airport from a regional transport hub into an international business destination in its own right. Over the next 10-15 years, it will see the creation of up to five million square feet of new, high quality business space across 150 acres of land to the north and west of the airport. Building on the connectivity of an airport, Airport City Manchester will fill the gap in the market that currently exists for a high quality and well-connected business destination that is linked to a major UK city with easy access to the global market place. It is aimed at attracting international businesses that require the high levels of connectivity afforded by the airport location and that would not previously have been located in the region, or even the UK. Manchester is the UK’s only regional airport with the attributes to successfully realise such a concept. 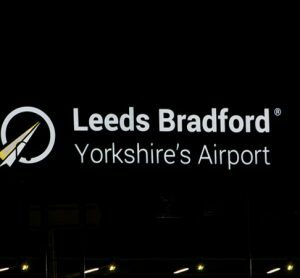 Already one of the top 20 airports in Europe and the busiest in the UK outside of London by some distance, Manchester has the same number of runways as Heathrow and the spare capacity to double its current passenger volumes from around 20 million to 40 million by 2030. 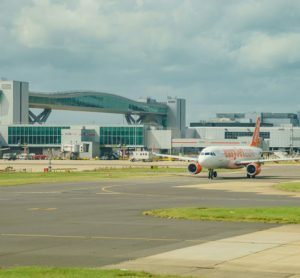 Sitting alongside this growth in passenger forecasts, the development will capitalise on Manchester Airport’s unique combination of location, multimodal connectivity, and infrastructure and land assets. Similar Airport City projects already exist across the world – in Europe, North America, Asia and the Middle East – but Manchester is the first such proposition in the UK. We have been working on the Airport City concept for the last five years, reviewing the initiative and looking at the various models that exist across the world to determine how Manchester can interpret elements of existing airport cities in its own unique fashion. Our aim is to create a proposition that fits with what Manchester and the North of England has to offer businesses around the globe, ultimately to compete with comparable projects at places like Frankfurt, Amsterdam and Barcelona. A detailed ‘masterplan’, officially unveiled publicly for the first time in January 2012, identifies the creation of two core Airport City zones. The first is a development area adjacent to the airport’s existing railway station and to the north of a dual-carriageway spur road that currently connects the central passenger terminal area to the M56 motorway. It will focus on new hotels, office, retail and advanced manufacturing uses. A second area adjacent to the airport’s existing World Freight Terminal cargo centre, at Junction 6 of the M56 motorway, will focus on freight and logistics uses. Sustainability and connectivity are identified in the masterplan as key elements in the design. The architectural approach will be to create high quality, distinctive, contemporary new buildings, all designed and constructed to the highest possible environmental standards. The main central business district of Airport City will be linked to the airport terminals by a series of wide, landscaped ‘green bridges’ based on New York’s elevated urban park, the Highline. This will also ensure that every part of the northern Airport City zone is within an eight minute walk from the airport’s coach, bus and rail hub. A landscaped ‘Central Park’ area of over 800m long, featuring a number of pavilions and a large-scale event space, will form the centre – piece of Airport City, along with traditional components of a conventional city centre such as retail outlets, coffee houses, bars and restaurants. The Central Park will also integrate with the existing green space at Painswick Park in order to provide greater connectivity from Wythenshawe. he types of businesses expected to locate here include logistics, freight forwarders, advanced manufacturers; those seeking high quality office accommodation, research and development, health related uses to build on the proximity to University Hospital South Manchester as a centre of excellence, plus visitor accommodation, hotels and leisure uses to support the delivery of Airport City. Etihad Airways recently opened its European Contact Centre at Manchester Airport, with the creation of 160 jobs. Manchester was selected ahead of seven other top European cities competing for the centre, including Brussels and Dublin. We feel this underlines the offer here at Manchester Airport and demonstrates the calibre of international business we aim to attract to Airport City Manchester. 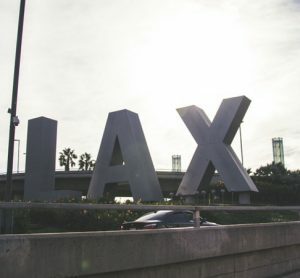 There are other examples too, of airlines, banks, distribution companies and major corporations based on site who tell us they are located here because they are able to access their markets quickly, so having a strong airline route network is also crucial in the development of Airport City. We already have strong, daily links to North America and the Middle East and our route network will continue to expand to include growing economies such as China and India too. We recently signed an agreement with Beijing Capital International to become a sister airport, which potentially opens up further opportunities for Airport City. The UK Government also recognised the potential of this project in March 2011, naming it the first of a number of its next generation Enterprise Zones. It was a significant moment and an exciting opportunity to move forward with the proposal, and generated significant national and international interest. We have since worked with Manchester City Council and the Local Enterprise Partnership (LEP) for Greater Manchester, to establish a boundary for the wider Enterprise Zone, which has since been approved by Government and became operational in April 2012, with incentives for businesses to locate in the Zone, such as business tax discounts and superfast broadband. The wider area of the Enterprise Zone not only includes the Airport City project, but a number of other linked opportunity sites in the vicinity, which will benefit from the connectivity and international proposition of Airport City Manchester. This includes a MediPark development at University Hospital South Manchester and regeneration activity in the town centre of Wythenshawe. The University Hospital of South Manchester (UHSM), a world-class research hospital and centre of clinical excellence, is also at the centre of a number of initiatives that can take advantage of sites for the creation of a medical and related services complex within the Enterprise Zone, building on its academic support by the University of Manchester. The successful develop – ment of the Airport City and MediPark concepts will greatly expand the current local role of Wythenshawe. Manchester Airports Group is currently preparing to undertake the first stage delivery of the project, which will involve the creation of key road elements, landscaping, infrastructure and utility provision, all of which will help enable the first phase of development plots. Planning permission for the main site link road is due to be submitted in Spring 2012 and upon approval could see work start in summer, with completion within 12-15 months. The new spine road opens up the site for development and whilst demand will drive the initial phases, the design is such that several plots and areas can be developed at the same time, giving maximum flexibility of location to occupiers. The first phase delivery area is anticipated to create up to 1.85 million square feet of new business space. An ‘Expression of Interest Document’ detailing the Airport City opportunity will also be officially released in Spring 2012, as the Manchester Airports Group seeks to engage potential development partners to assist in the delivery of the project. Manchester is a city renowned for innovation and its enthusiasm for doing things differently. Airport City is a once in a lifetime opportunity to reposition Manchester Airport on a European and International scale. John Atkins was named Airport City Director in 2011 to lead the £650 million ‘Airport City’ Enterprise Zone development project at Manchester Airport. John’s role also involves supporting the wider Greater Manchester Enterprise Zone as Programme Director, working closely with Manchester City Council and other stakeholders. In 10 years within M.A.G.’s property development business, John has overseen over £150 million of new projects across M.A.G.’s four airports; Manchester, East Midlands, Bournemouth and Humberside. He has worked in a variety of posts with a property and planning emphasis, both in the public and private sector.